Legendary comic book creators Stan Lee and Jack Kirby premiered The X-Men in the fall of 1963 for Marvel comics. Fresh on the heels of their successful Hulk and Fantastic Four characters, Lee and Kirby set out to create another group-centric comic book but Lee was not excited to come up with a group’s worth of origin stories. 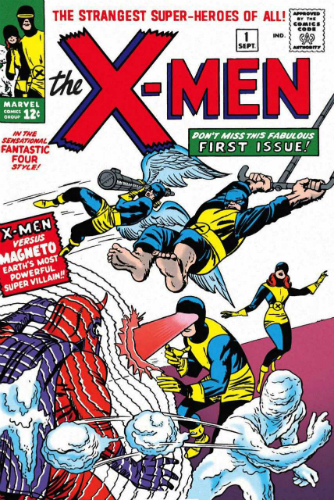 As a result, the premise of the “mutant” was born and The X-Men offered the first of Lee and Kirby’s creations to simply be born with superhuman abilities. X-Men quickly became a popular franchise and although that popularity has waned from time to time, they are now one of Marvel’s most successful comic, cartoon, and film franchises. This guide serves as an overview of the many X-Men collectibles associated with Professor X and his team of young mutants. The original run for X-Men comics began in 1963 and ran through the end of the 60s, but the title failed to hold its popularity. By 1970, Marvel was simply reprinting earlier stories with new issue numbers. The comic’s emergence in the mid 1970s as one of Marvel’s best-selling comic books led to a number of appearances on the animated series Spider-Man and His Amazing Friends and an eventual cartoon of their own in the 1990s. By the 2000s, the X-Men were such a popular Marvel franchise that they were included, at least in some fashion, in a WB television show, several cartoons, and a growing movie franchise with a value in the billions. From their early days as teenage students at the X-Mansion to their modern incarnation as a well-trained, fighting juggernaut, the X-Men are showing no signs of fading and continue to be a pop culture force in every medium where they appear. This is further evident based on the many X-Men collectibles available. Review the notable choices amongst comics, trading cards and figures using the tabs above. MARVEL X-MEN ORIGINS DEADPOOL #1 SWIERCZYNSKI & FERNANDEZ SIGNED MARK BROOKS! Since 1963, Marvel has been producing some form of an X-Men title pretty continuously. From 1970 to 1975, the publication consisted of reprinting old stories from the 60s, but the publication continued all the same. As with any Stan Lee creation for Marvel, collecting the comic books can be a fun venture to take and, excepting standout issues, can be much more affordable than collecting the superheroes of the Golden Age of comics. Notable titles and issues are highlighted below. It is imporatant to note that many of the related heroes actually premiered in different comics, such as Wolverine’s debut in the Hulk comic. Originally titled X-Men, this comic book is the home base for your mutant superhero collection. Stan Lee wrote for the comic’s first 19 issues, which is of interest to collectors of his work. The series stopped producing new issues in 1970, with issue #67 being the final new release, and began reprinting older issues until 1975. For collectors wanting to go beyond the Lee run, beginning a collection with character debuts is a great place to start. For example, issue #28 offers the premiere of Banshee. Issues #68 through 93 are probably of little interest to collectors since they are reprints but can still sell for a few bucks online. In 1975, the title was relaunched as Giant Size X-Men #1 which reinvented the team with a mix of pre-established characters that included Wolverine (who had appeared in Hulk comics) alongside brand new characters like Storm and Thunderbird. 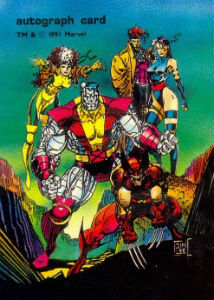 From this run forward, X-Men enjoyed a revived popularity, eventually becoming a twice-monthly comic in the late 80s and spawning several spin-offs. 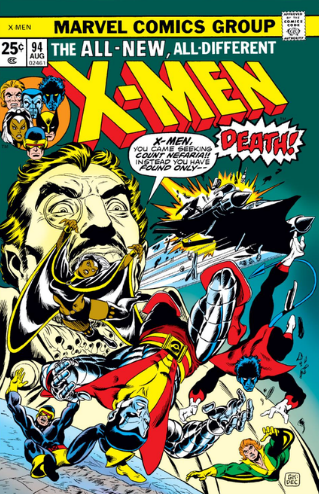 Under the leadership of writer Chris Claremont, the period of releases from 1975 to 1980 is considered one of the best comic book runs of all-time. Issue #94 (and Giant Size #1) is a great place to begin this collection and simply moving forward from there is a collector’s best bet. The title of the book switched to Uncanny X-Men on issue #114 and was discontinued in 2011 after issue #534, with issues 534.1-544 being released as Volume 2. 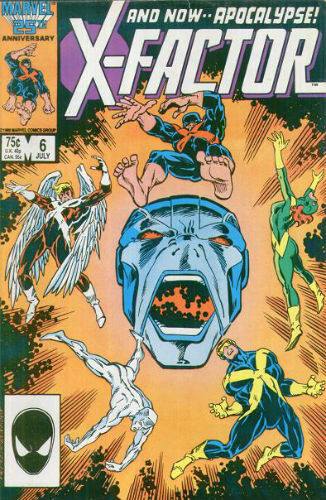 X-Factor was a spin-off that returned the original X-Men lineup to the comic book pages. While the original series was cancelled after 149 issues, the title has been revived several times since the first run ended in 1998. Despite being a relatively recent comic publication, certain issues, like #5 and #6, which introduced the Apocalypse character, can sell for several hundred dollars on the secondary market and the entire print run will occasionally be sold as one giant lot. MARVEL UNCANNY X-MEN #29 STAN LEE & WERNER ROTH! MARVEL: X-MEN (VOL. 1) #45, CYCLOPS VS QUICKSILVER, ICEMAN ORIGIN, 1968, VG FN!! MARVEL: THE X-MEN #59, TEAM VS SENTINELS, BEAUTIFUL NEAL ADAMS' ART, 1969, VF+!! X-MEN #48 (Vol. 1 1968). Cyclops And Marvel Girl. John Romita Sr. - Cover Art. THE X-MEN #49 1st POLARIS! STERANKO Cover! 1st MESMERO! BEAST ORIGIN! The characters portrayed in X-Men comic books have made dozens of appearances in Marvel trading cards over the years but they are also the rare group of characters that have inspired their own sets, as well. With comic books, cartoons, television shows, and movies to draw inspiration from, the collector of X-Men trading cards is in for a varied and potentially lucrative collection. 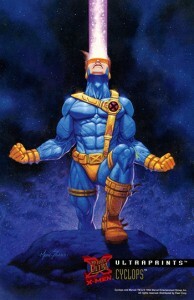 Featuring artwork by Jim Lee, the sole set released by Comic Image was unique as it also included 1,000 autograph cards signed by Lee. The autographed cards (shown below) are signed on the blank reverse of each card. Released in 1991, this set is years ahead of the movement in the hobby that has made autograph cards into an industry standard. While it isn’t incredibly uncommon to see these signed cards listed for sale online, it is not an abundantly plentiful market, either. Some folks have listed the autographs for $10-$20, presumably because their “junk era” production date has a negative connotation, but you will typically find them in the $100+ range. The rest of the 90-card set can be found fairly easily for a reasonable price and unopened boxes are commonly found. 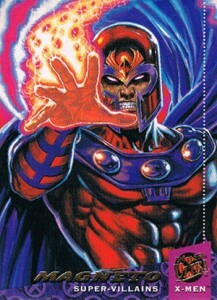 Impel released two X-Men card sets near the beginning of the 1990s. This started with 1992 Uncanny X-Men Series 1, which includes 100 cards and a five-card hologram chase set. Series 1 also features a five-card set of Jim Lee autographed cards with embossed authenticity stamps. Uncanny X-Men Series 2, released in 1993, totals 100 base cards, and includes a nine-card foil chase set as well as a four-card hologram set. 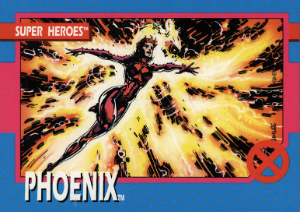 Fleer and Skybox have released a handful of X-Men trading card sets separately and together, including Marvel Universe sets that heavily featured X-Men characters. In 1994, Fleer released X-Men Ultra which was a 150-card base set with gorgeous full-bleed, high-gloss cards as well as 24 chase cards (including a Walmart exclusive). The next year, Fleer released 1995 X-Men Ultra, again with 150 base cards, but increased the total to 39 chase cards. The Fleer/Skybox X-Men Timeline set, released in 1997, has 82 base cards and 17 chase cards for a grand total of 99 cards. Base cards and sealed hobby boxes for all the Fleer/Skybox sets are easy to find but chase cards can fetch a few dollars each. With the start of the blockbuster film franchise in 2000, Topps entered the fold with movie-specific card sets. While base sets are simply production stills from the film, collectors should still seek out the releases based on the inclusion of autographed cards. 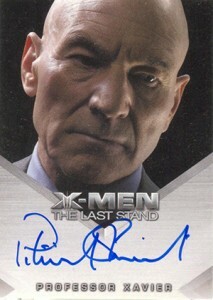 2000 Topps X-Men offers 13 autographs (1:36 packs), including Hugh Jackman as Wolverine and Patrick Stewart as Charles Xavier. 2003’s X2: X-Men United has fewer autographs (nine plus a short run of director Bryan Singer signatures) with a, some would argue, less notable list of signers. Both sets of autograph and relic cards are easy to track down and range in value between a few dollars to well over $100, depending on the subject. Rittenhouse released X-Men: The Last Stand in 2005 to coincide with the third film in the franchise. 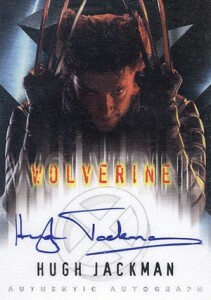 In addition to 22 autograph options, the largest of any X-Men movie set to this point, it included the first movie-based sketch cards. The deep list of signers contains Hugh Jackman (Wolverine), Kelsey Grammar (Beast), Anna Paquin (Rogue), and Patrick Stewart (Professor X), among others. There are a handful of cards sold exclusively with the accompanying binder or as dealer incentives and many of the cards found in hobby packs are part of very short runs. Considering this, it should come as no surprise that several of these autographs are very difficult to find and will cost you a pretty penny to own once you do manage to locate them. 1995 Fleer Ultra X-Men All-Chromium Lethal Weapons HoloFlash #9 Wolverine. These aren’t dolls, dude, these are action figures and the members of the X-Men have had their fair share of figures for collectors to seek out. Because of their inclusion in many general Marvel toy lines, it can be a bit daunting to locate the characters you’re looking for or to compile a complete set. For the sake of this guide, we’re going to look at the sets exclusively branded to the X-Men. 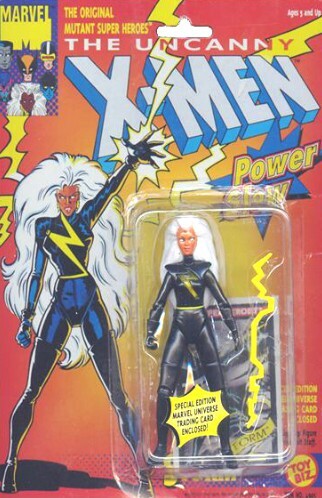 From 1991 through 2008, ToyBiz released several popular lines devoted to X-Men. Their lines included figures based on comic designs, cartoons, and the first two films. The final film demands were too rushed for ToyBiz and they released a previously-canceled line — X-Men Classics — instead. With many retail exclusives and some runs selling out rather quickly, mint in box (MIB) figures from ToyBiz can have an elevated value. In spite of this, these figures are commonly available in group lots on online auctions and can be obtained fairly easily, excepting the rare figures like the “Spy Wolverine” variation exclusive to Kay-Bee Toys or characters that didn’t sell as well originally. Since the fall of ToyBiz, Hasbro has been the manufacturer of Marvel action figures. Hasbro has not released a line of X-Men-exclusive toys but has released many well-known characters as part of their Marvel Universe and Marvel Legends lines. However, Hasbro has repackaged several of these characters into X-Men Collector Sets, which may make it easier for fans to obtain the many versions of their beloved mutants. 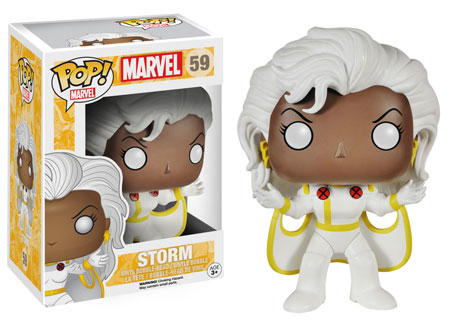 Funko has yet to release a subset devoted solely to X-Men but there are several individual characters, including Wolverine, Deadpool, and Storm, in their Marvel lines. 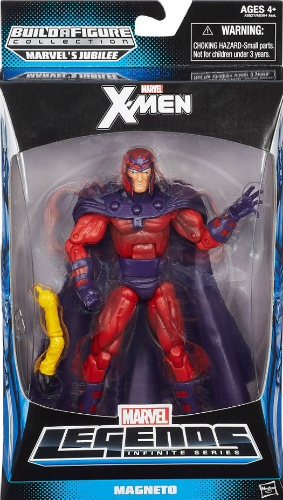 As with any other release by the popular figure manufacturer, there are several X-Men characters that are sold as retail or comic-con exclusives. Heroclix X-Men Xavier's School set Iceman (AoA) #064 Chase figure w card! X-MEN ANNUALS #1 CGC 9.6 NM+ 1970 2ND HIGHEST GRADE DARK PHOENIX MOVIE SOON!